"Carey Fleske is the lawyer I have recommended to my friends and family for over a decade. I trust him completely and appreciate his drive to secure the best outcomes for his clients." We can assist you in protecting your freedom, career, and family when you are facing traffic offenses, criminal offenses, or licensing issues in both State and Municipal Courts. We represent clients who are arrested, charged, or cited for alcohol related offenses. The personal goal of our attorney is to provide a knowledgeable course of action, give your case close personal attention, and make sure your piece of mind is protected. Since many of these charges also involve minors, or young adults it is essential to try and resolve them in a way that protects their future. If you are facing a Driving While Suspended charge it is very important that you hire a licensed Kansas or Missouri attorney immediately. In both Kansas and Missouri you could be facing significant fines, jail time, and loss of your license. In some instances you risk losing your license for extended periods of time. Waiting or failing to take action on your case can compound the potential penalties. We represent clients who are arrested, charged, or cited for drug related offenses. The personal goal of our attorney is to provide a knowledgeable course of action, give your case close personal attention, and make sure your piece of mind is protected. Many drug charges can be complicated matters were much attention needs to be paid to the stop, arrest, investigation, and circumstances surrounding the drug offense. If you are facing a pending probation violation, or think you may soon be found in violation of your probation it is important for you to act quickly. An experienced attorney can work with you to create a plan of action to possibly avoid the revocation, or minimize the penalties you could be facing. Taking no action can damage your ability to put your best foot forward when you have to appear before the Judge. If you receive a speeding ticket, or any other moving violation ticket in the Kansas City Metro area you should strongly consider allowing us to handle it for you. 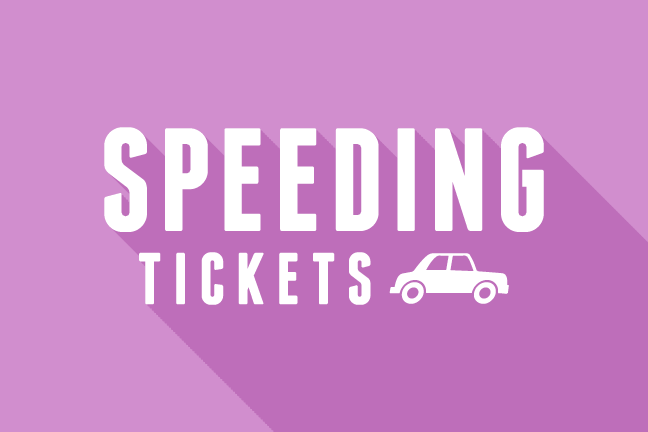 A Kansas City speeding ticket lawyer should be able to assist you in amending your ticket from a moving violation to a non-moving violation. By simply paying the ticket you could be causing unforeseen consequences. If you have previously entered a plea of guilty or no contest in a criminal or traffic matter you may have the ability to set-aside that conviction. Many times people enter a plea without the advice of an attorney. This can cause many unforeseen difficulties, such as loss of your license or even more serious penalties. Carey Fleske grew up in Great Bend, Kansas and graduated from Great Bend High School. He received his B.A. from the University of Kansas, and his J.D. from the University of Missouri in Kansas City. After he received his degree he began his legal career working for a small local firm handling criminal and civil litigation throughout the Kansas City Metro Area. After several years of working in Kansas City, Mr. Fleske had the opportunity to return to his hometown to work as an Assistant County Attorney for Barton County, Kansas. During his time as a Prosecutor he was able sharpen his skills as a trial lawyer, and put many dangerous career criminals in prison. He also received valuable training in DUI prosecution, search/seizure law, and drug interdiction. He was also invited to participate in the Top Gun program, which trains law enforcement officers throughout the State of Kansas in all aspects of drug crime prosecution. This training has helped Mr. Fleske immeasurably in his career to understand the tactics and issues that often arise in criminal cases. Upon leaving the Barton County Attorney’s Office, Mr. Fleske returned to work for a firm in Overland Park that was focused on helping individuals facing a wide range of criminal and traffic charges. It was through this experience the Mr. Fleske realized that he has a passion for helping those that are facing down some of the most challenging times in their life. It was this passion for helping clients that spurred him to create his own law firm. Mr. Fleske strives to create a client-centered practice where communication and problem solving are an utmost priority. Clients deserve a hardworking attorney that will explain their options, investigate their case, and create a strategy in resolving their case. DefendingKC can be reached at the phone numbers or address provided, or by filling out the form below with your name, email, phone, your legal matter, and a brief message describing your legal situation. Disclaimer: This website is designed for general information purposes only. The information presented by this site should not be construed as formal legal advice. Further, in offering this information to the public it is not intended to create, nor does it create, an attorney-client relationship between any individual and DefendingKC.com or any attorney affiliated therewith. An attorney client relationship is only created upon review of the specific facts in a case, acceptance of that case by the attorney, and payment of the required attorney’s fees or retainer. The choice of an attorney is an important decision and should not be based solely on advertisements.